Walter Lindley Smith , Sr.
BREMEN – Walter Lindley Smith, Sr., 75, of Bremen, died Friday, November 2, 2012 at his residence in Bremen. 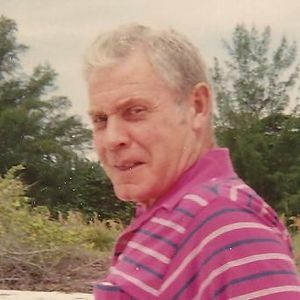 He was born June 14, 1937 in Arkansas, was an electrician for Crick Electric Service in Madisonville, was a member of the Cypress Baptist Church in Sacramento and was a U. S. Army Veteran. He is preceded in death by a step son, Malcolm Carter. Survivors include his wife, Willodene Bibb Smith of Bremen, a son, Linn Smith, of Bremen, three daughters, Doris Lear and Sandra(Ricky)Lee of Bremen and and Bridgett(Chuck)Smith of Central City, step son, John(Lisa)Carter of Owensboro, two step daughters, Rickie(John)Shocklee of Livermore and Kimberly(Tim)Felty of Rochester, several grandchildren and great grandchildren, several step grandchildren and step great grandchildren, & a sister, Lucille Tomes of Sacramento. Funeral services will be held at 10:00 AM, Monday, November 5, 2012 at Tucker Memorial Chapel in Sacramento conducted by Rev. Steve Whitaker with burial to follow in the Poplar Grove Cemetery in Sacramento. Visitation will be after 2:00 PM Sunday and after 8:00 AM Monday at the funeral home. Create An Online Memorial For Walter Lindley Smith , Sr.
Each time I was with Uncle Walter was a memory that will not fade. I am so glad, Dean, that you gave me the time with him that we had together. Bill also enjoyed each visit and we will cherish every moment. I am so glad he could remember everyone and his memory lingered. I regret that I will not be able to set with him Monday but I am so glad I know he is in Heaven this very moment. Dean, I know you are tired but I am amazed with your patience and the tender hands that helped Uncle Walter until his last breath. You was a blessing to not only him but for everyone who entered your home. May God bless and keep you is my prayer.